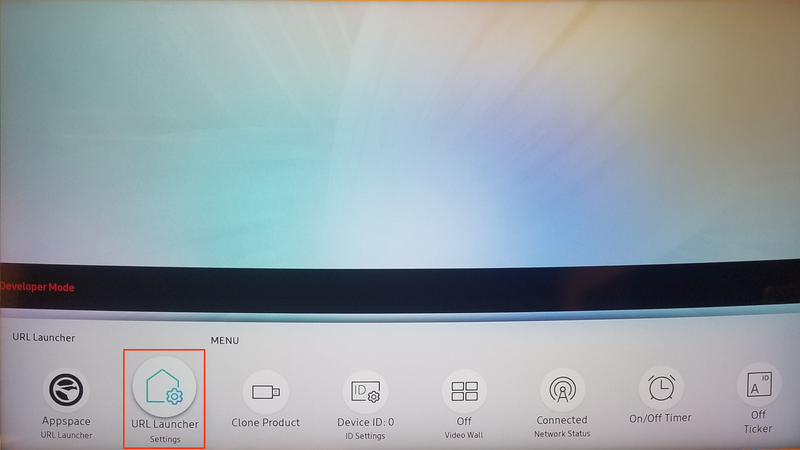 This article provides the instructions to configure and register Samsung Smart Signage Platform (SSSP) devices for Appspace. Navigate to Downloads, and download the Appspace App for Samsung client (AppspaceSSSP3.zip). 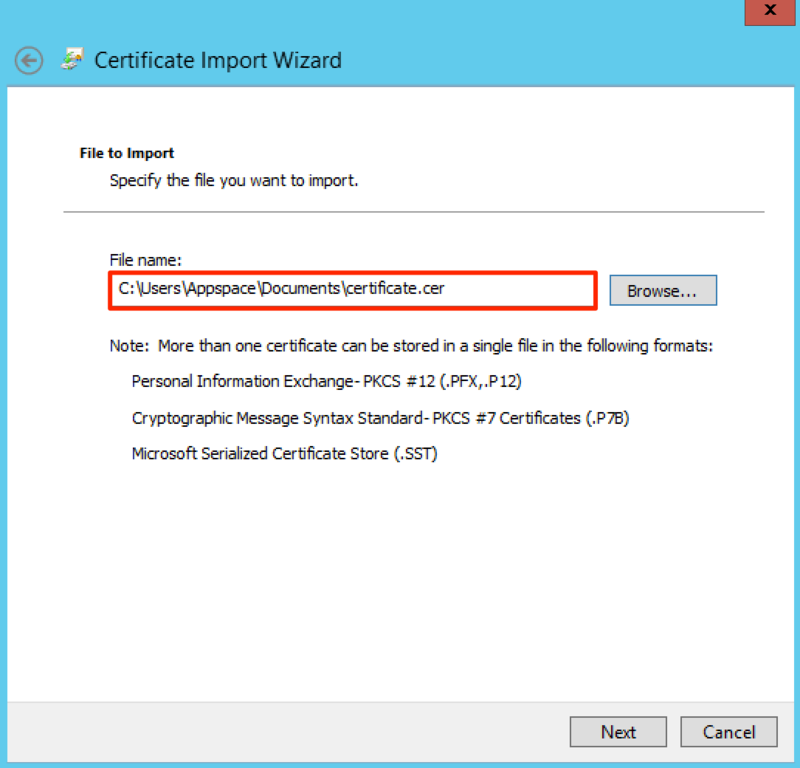 Once downloaded, extract the AppspaceSSSP3.zip file, and upload the following files to a web server. Extract both the Landscape.zip and Portrait.zip files. Select OnScreen Display > Display Orientation > Portrait. Navigate back to Home, and select Change URL. Paste the URL path from Step 4 above, and save changes. 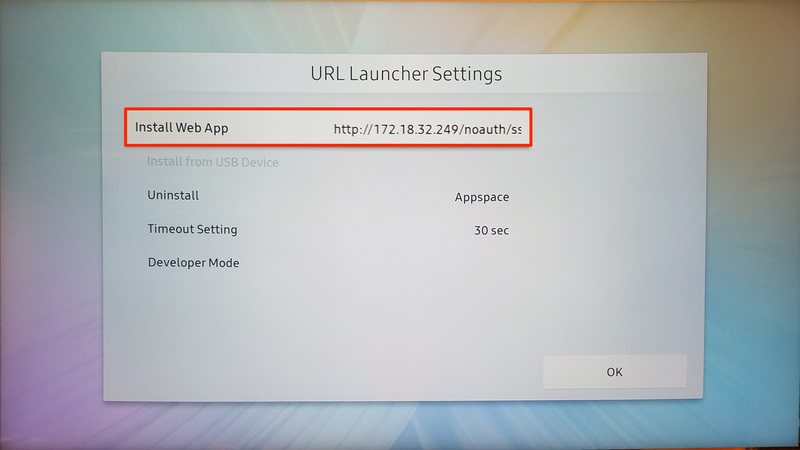 Click URL Launcher to launch the Appspace App. USB keyboards are not supported. Please use a remote control or the on-screen keyboard. This section provides the workaround to the Samsung SSP video to video playback limitation, which displays a two second black screen interval between videos. This limitation is found in the Appspace App 1.4 Release Notes. In order to reduce the black screen interval, or for an almost seamless transition between videos, an image of the last frame of the video, or the first frame of the next video, must be inserted in-between the two videos, with the playout duration set to one second. The image of the first frame or last frame of the video can be exported from most video editors. Navigate to the Media Zone widget of the desired sign, and click the Content tab. Click Add Media to insert an image, preferably an image of the last frame of the video. Ensure the image is placed in between the first and second video. Click the ‘Default 12 sec(s)]’ Playout duration of the image. Click the PLAYOUT PROPERTIES tab, and in the Duration field, select Manual. Enter in one second for the duration. Close the Media Zone widget and save the desired sign.